Notary attestation is mandatory to prove the authenticity of the personal documents while travelling overseas. Notary attestation is done for personal documents like birth certificate, death certificate, marriage certificate, power of attorney, legal heirship, affidavit, divorce certificate etc has to be attested for verification abroad. Attestation of personal documents are when you apply for residence visa, visa for your spouse, educational and employment purposes. 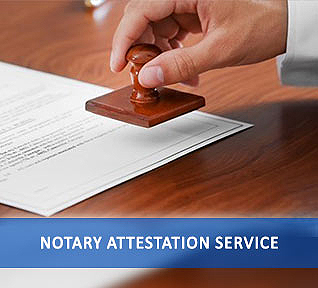 Notary Attestation: Notary attestation is required for attesting personal documents. Notary attestation has to be done from Notary of the state where the document was issued. After the attestation, it has to be attested from the concerned state home departments. MEA Attestation: After the notary attestation, the documents are to be attested by the Ministry of External Affairs. If the country you are travelling to is a Hague member country, then you have to do the MEA Apostille attestation. Normal MEA attestation is done for non-hague member countries. Embassy Attestation: After MEA attestation, Embassy attestation is mandatory to go abroad. However, embassy attestation is not required for Hague member countries. MOFA Attestation: MOFA attestation is done once you reach your destination country. Urogulf can help you in accomplishing the notary attestation process without any hassle. We have a dedicated team of professionals and wide network to do the attestation without involving any third-party in the process. You can submit the documents for attestation in any of the Urogulf offices in India and abroad.